It has been a wild ride for Kangana Ranaut and her forthcoming film Manikarnika – The Queen Of Jhansi. Embroiled in many controversies, the actress has taken the baton to direct the film after director Krish couldn’t give dates for reshoots. Just recently, Kangana Ranaut and Ankita Lokhande shot a lavish and elaborate song sequence. Now, it has been learned that the actress is set to shoot another song which will be choreographed Saroj Khan. According to a leading daily, a romantic song featuring Kangana Ranaut and her onscreen husband Jisshu Sengupta will be shot in a day. Reportedly, Saroj Khan has been roped in for the song and the actors have been rehearsing for the song for a few weeks now. They will shoot it on September 18. It will be challenging as they want to wrap up the song in a day. A set has been created at Nitin Desai’s studio in Karjat. Kangana Ranaut has once again found herself in a controversy when her Manikarnika – The Queen Of Jhansi co-star Sonu Sood walked out of the film. As the makers wanted to reshoot some scenes after their director Krish could not give the dates, Kangana reportedly took over the baton to finish the patchwork. But, it seems like the problems began after that. Sonu Sood admitted it was due to date issues he had to walk out and was never due to a film being helmed by a female director. On the other hand, Kangana admitted that he did not want to work under a female director. While all said and done, it seems like the budget of the film has insane now for the reshoots. 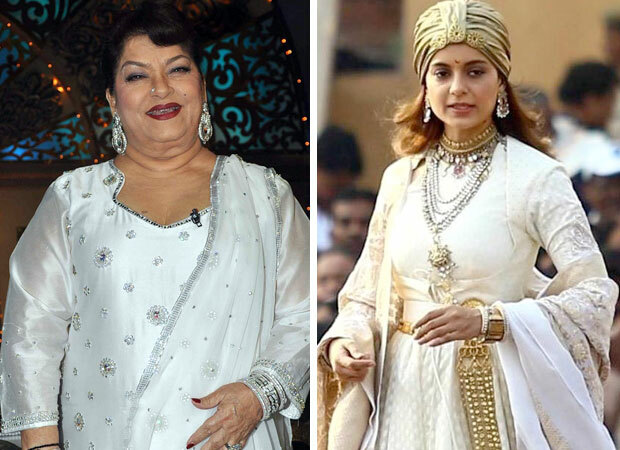 Manikarnika – The Queen Of Jhansi will release on January 25, 2019.